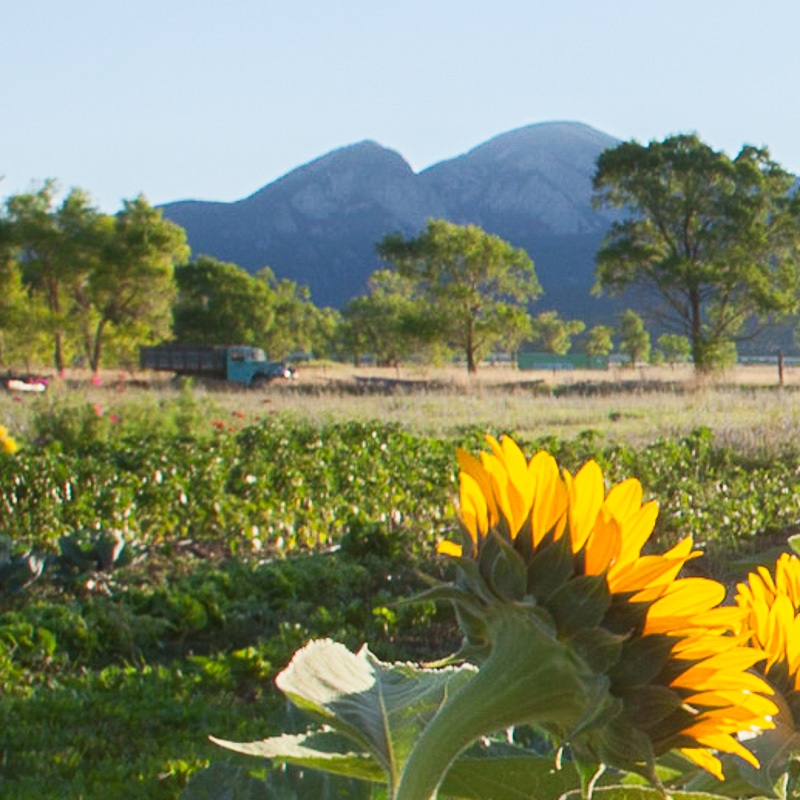 Taos Mountain Doula creates a peaceful & empowered space for a birth. As the mother of two amazing boys, a birth doula, prenatal yoga teacher and prenatal/postpartum care provider, Rachel is a wealth of knowledge whose number one concern is supporting you on your journey. As a doula, Rachel’s focus is in birth support, prenatal and postpartum care. She fosters a safe and supportive birthing environment and encourages deep listening to one’s own body; a dance between effort, surrender and learning to soften. Rachel studied Holistic Health and the Healing Arts with a concentration in Integrative Massage Therapy and yoga teacher training at the University of New Mexico. She completed her doula apprenticeship with the Taos Homebirth Midwifery. 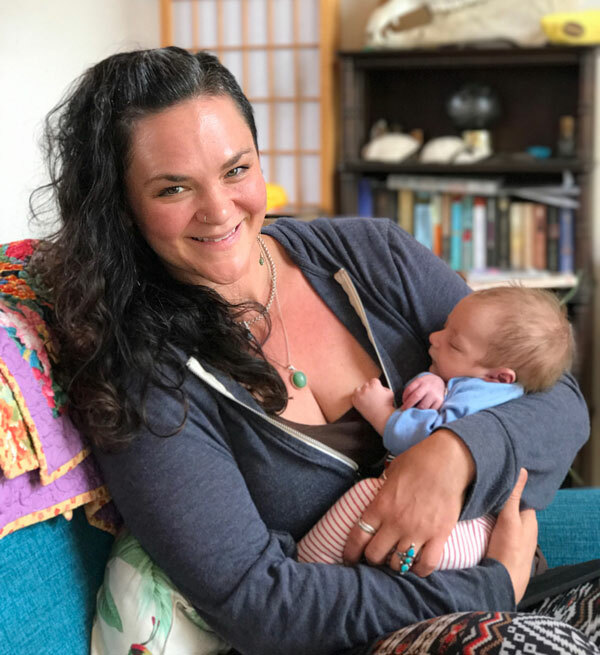 She teaches child birth education, focusing on breathing techniques, partner support, birthing positions and harnessing the power of voice through vocal toning. Rachel Varela has been a practitioner of yoga for over 20 years. Under the training of expert instructors, she has studied various yoga styles, including kundalini, vinyasa, hatha and ashtanga yoga. As a trained dancer, Rachel has strong foundations in movement and the mind-body connection. Doula support can help with pain management during labor through connecting with the breath and harnessing the inner power of your voice. 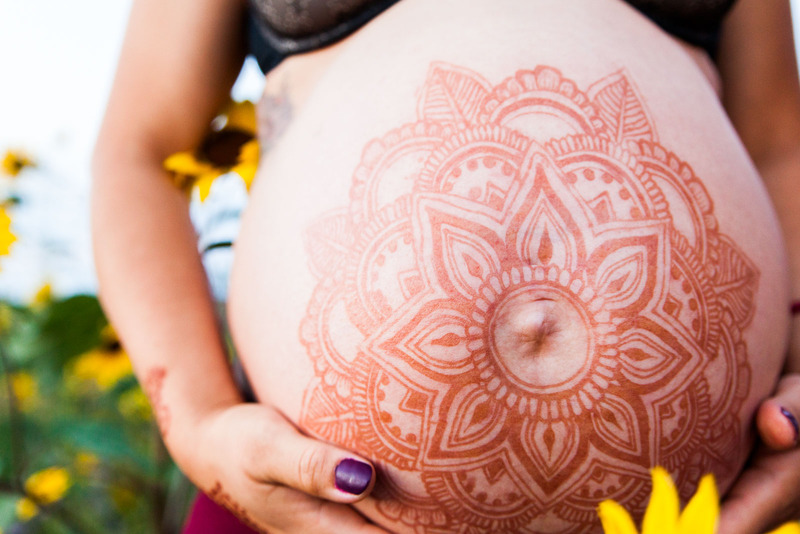 Some of the advantages of practicing with a doula are increased circulation and lymphatic flow, strengthening and toning of muscles and connective tissue. These benefits instill you with the confidence, focus, strength, peace and relaxation you will need for labor, delivery, and recovery. Having a doula has been shown to reduce pain in labor as well as reduce the need for interventions. Women often experience shorter more productive labors, less postpartum depression, and more success in breastfeeding. On call from 36-42 weeks (up to 36 hours once called for birth). Includes 1 prenatal & 1 postnatal visit. At home, local hospital, or birth center. Travel distance up to the Santa Fe area. Attendance of 36 week doctor or midwife appointment. On call from 36-42 weeks (up to 36 hours of service once called for the birth). Includes partner or other support person if desired. Breathing techniques, visualization, pain management, birthing positions, partner support etc (2-4 hours, can be broken up). One prenatal and one postpartum massage, 50 minutes each. Up to 4 visits, including breastfeeding consulting. Excellent for recapturing lost nutrients after birth and decreasing the chances of postpartum depression. $150 additional, regularly $200. Services at an extra fee. Willing to work for partial trade and/or sliding scale by request. I look forward to working with you and your growing family!! “We were so lucky to have Rachel as our doula in Taos. She was supportive, not just during labor but through all the before and after details, that were equally as crazy. I love how she was so accepting of all of our choices, from traditional to non-traditional, holistic to modern, whatever we wanted, her only objective was supporting us in the birth we wanted. I am most grateful to her for the support after the birth, she really helped keep me together through all of the emotions. My labor took some unexpected twists and turns, and Rachel was there to reassure all our decisions. After we were home she was a constant support. As a new mom I had a million of questions from a stuffy nose, to what was okay to eat, and everything in between. She answered each concern with care and attention, and made sure I had the support I needed for my health, and the health of our new baby. It was, and is, invaluable knowing Rachel is just a phone call away. “Rachel is incredible! My labor was very long she was present through it all. Her eyes were so grounding and her words soothing and supportive. She was also wonderful during prenatal and postnatal care. 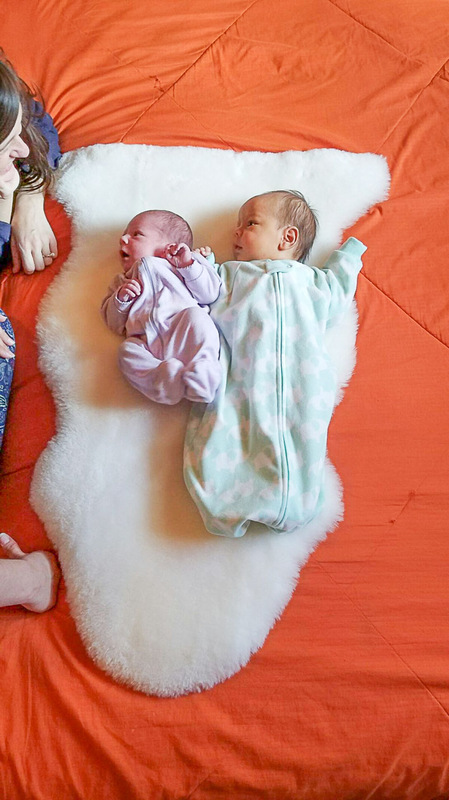 “I was skeptical about having a doula, but instantly felt comfortable when I met Rachel. She is now like a part of the family. I knew, whatever I needed, she would be able to help, including making us great post-birth meals. “Rachel was the doula for my 5th pregnancy and 1st doula experience. I didn’t even know what a doula was supposed to do, but Rachel was awesome. She came to my side during labor very quickly, and was my rock. She spoke for me when I couldn’t and asked questions I wouldn’t have considered. She took care of me and made it 100% possible to give birth VBAC with no ruptures, severe tears or meds. I highly recommend the use of doulas at every birth and if I ever have another baby, Rachel will certainly be mine. “Many of my Taos friends and new mothers bonded over having Rachel as our doula. She is a friendly member of the community and I admire her spirituality. She is excellent at looking at you as a whole, knowledgeable in her practice, and especially kind and understanding. I wanted to have a home-birth Vaginal Birth After C-section and Rachel helped me research other medical facilities who would offer VBAC when the Taos hospital would not. When I went into pre-term labor at 34 weeks Rachel rode in an ambulance with me to Albuquerque in the middle of the night. We watched “Dirty Dancing” because Rachel told me that it is the number one most watched movie by women in labor. While I was at the hospital Rachel helped me talk with the doctors about my options and brought me homeopathic medicine and used essential oils and massage to help support me in the midst of a frightening crisis.